- 4 x 25ml/ 0.85fl.oz. 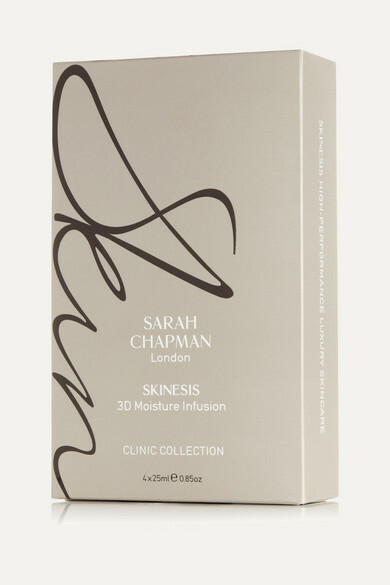 Facialist Sarah Chapman's 3D Moisture Infusion treatment has remained a closely guarded secret - until now. This innovative bio-cellulose mask envelops the face like a second skin to instantly hydrate, soothe and plump. Infused with a spa treatment serum, this energizing complex optimizes cell respiration and quenches dehydrated skin to give your complexion a radiant glow.